Check out your action photos! JKP Sports is proud to announce that we will be the official photography company for the 2017 UYFL National Championship for Football & Cheer, to be held in Tampa, Florida! Team photos & action photography will be taken of the football & cheerleading teams throughout the event! Events will be held December 3 through 9, 2017. 12/2/2017: United YFL Football Team Photos will be taken on registration day, December 2. If you need another team photo order form for your entire team, click on the appropriate button below. 12/3-7/2017: United YFL National Football Tournament Games held December 3-7 at the United YFL Championship Complex. To request action photos for your TEAM, click on the appropriate button below. 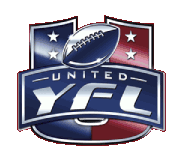 12/8/2017: United YFL Football Championship held Dec. 8 at the United YFL Championship Complex. Championship game will be photographed. 12/9/2017: United YFL Cheer Championships held Dec. 9 at the Tampa State Fairgrounds. Cheer Team photos will be taken as you come in for competition (before warmups). Cheer Action photos will be taken of all competitions this day, so no need to make a request – simply stop by our table to view, purchase, and go home with your images! If you would like to PRE-ORDER action photos, click on the appropriate button below.